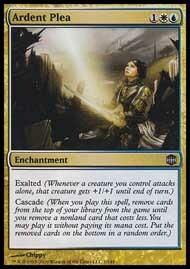 After finally getting to draft the cube with my regular Tuesday night play group I noticed some interesting things. 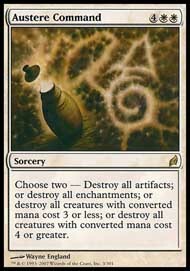 Drafting a multiplayer deck is different to drafting a duel deck! 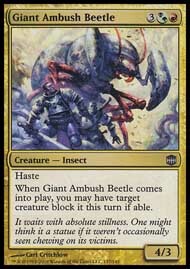 This was brought home when I realised that my deck of removal and Ball Lightning type of creatures lacked the staying power against creatures that stayed about for a while. 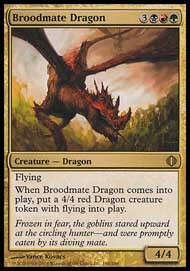 Broodmate Dragon still coming by in the later half of the packs This got me thinking about something I had read on cubedrafting.com where Evan was discussing how he removed the multicolour support to attempt to take his cube to a more dynamic place. 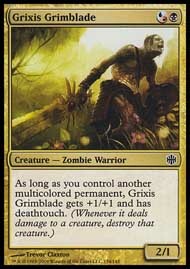 These cards are still three colours but a Grixis Grimblade is equally at home in a Black/Red or Black/Blue deck. 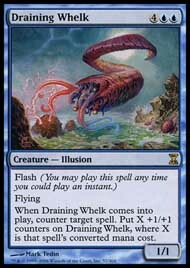 It can even be splashed in a Blue/Red deck without too much trouble. 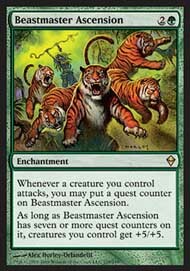 On a side note - I wonder if we would ever see a card with a mana cost? Finally managed to get around the limitation of my Jade database and find a way to display the mana analysis for my deck listings. Check it out and enjoy! Finally got to take Mereike out for her maiden voyage - played a long winded game that I was forced to abandon due to time constraints. In light of what I learned in this game I made a number of changes to the lineup. 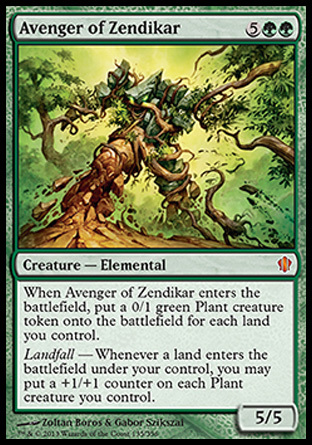 All of these new cards do some pretty unfair things which makes them perfect for EDH! 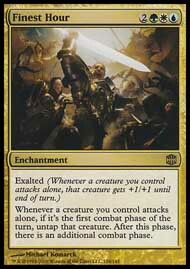 Played Archenemy for the first time last evening. I enjoyed it despite being hammered by the enemy many many times. Sadly my playgroup were not as impressed with the format. I think that with a bit of work it could be made to function - it just requires a bit of commitment from the participants. 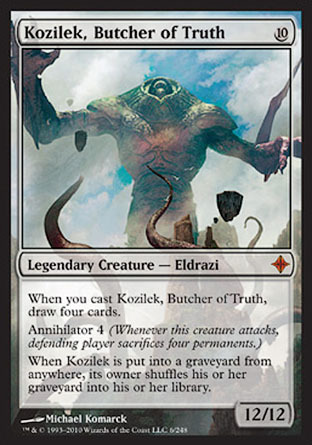 Kozilek, Butcher of Truth. Needless to say he chose that creature and it was good night nurse for the good guys! Bloody IE Piece of Shite! It looks like IE has reared its head again and has messed up my style sheets. I have patched the site so it now kind of works and will be fixing the problem asap! 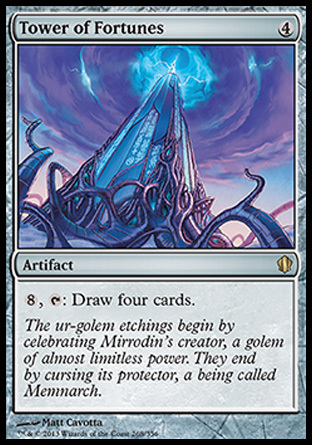 With the spoiling of M11 it suddenly dawned on me that we are getting close to the departure of the Shards block from standard. 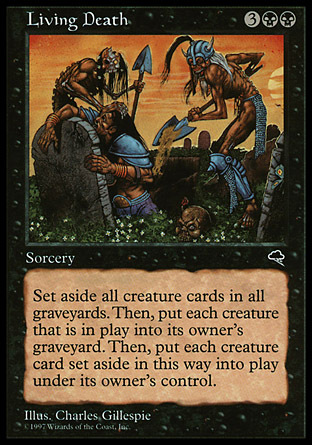 As our casual play group tends to play standard, there is only 4 months left to use all of these cool cards that I have aquired. My challenge is to build Something interesting from each shard using cards that I haven't explored, as well as patching in the latest stuff. Leaving no card unplayed! 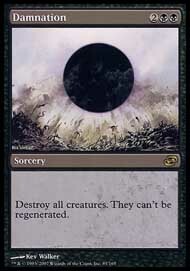 Baneslayer Angell!!! Now we are talking! 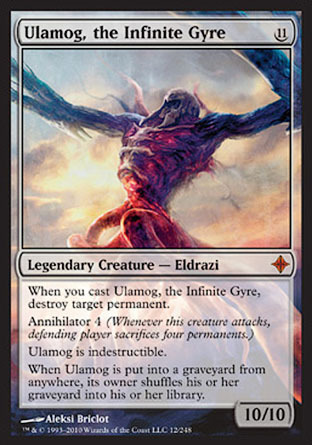 Ulamog, the Infinite Gyre' - The Three Amigos! 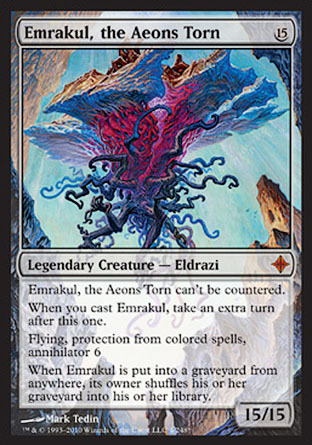 What better could posibly be better than an Arch Enemy casting all three of the legendary Eldrazi? It's been a busy couple of days. After much procrastination I have finaly corrected the artwork by expansion coding in the database and have imported a number of new sets into the system. 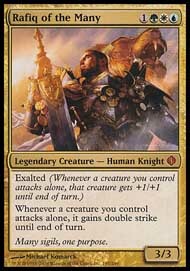 I have also added the coding to deal with EDH decks, seperating the general from the body of the deck. Lastly I have added pop up card pictures. 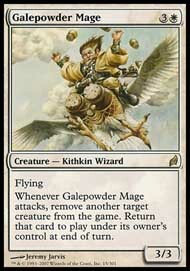 First of all a huge Hat-Tip to Brian Kibler for winning GP Sendai. Well done Son! 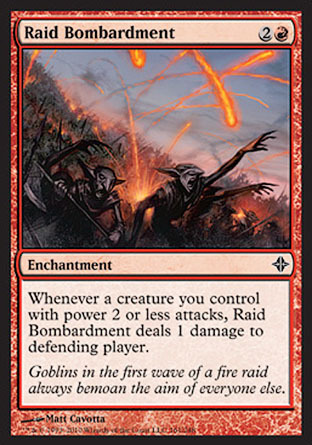 Raid Bombardment as well to let my 0/1 tokens deal damage. You can see the current build here. 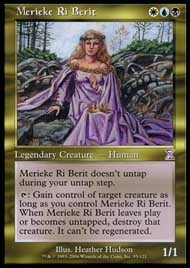 Merieke Ri Berit as my General. 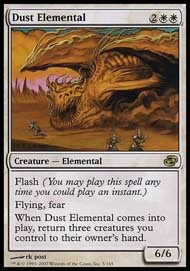 At this stage the deck lacks a lot of focus, and carries a number of cards from my last build of the Crosis machine. 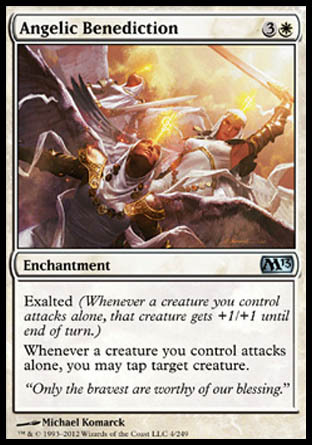 I am still attempting to dcide on a focus for the deck - as EDH is a multiplayer format, I am leaning towards a deck that does nothing startling so as to remain off the radar while not being defenseless either. 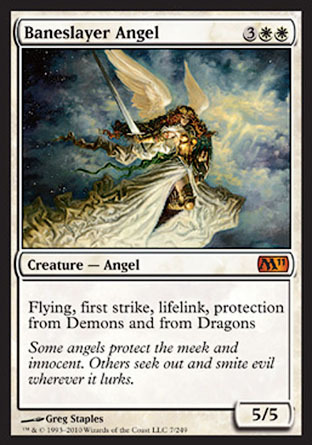 Now comes the refining of the deck with cool cards that I have missed in the first draft.